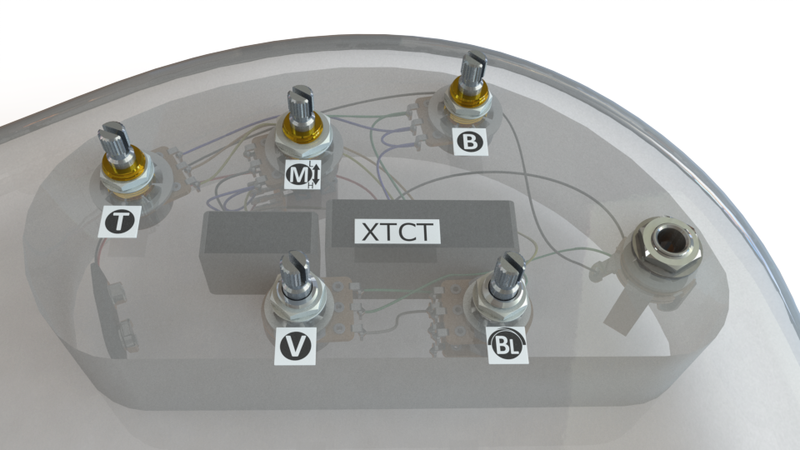 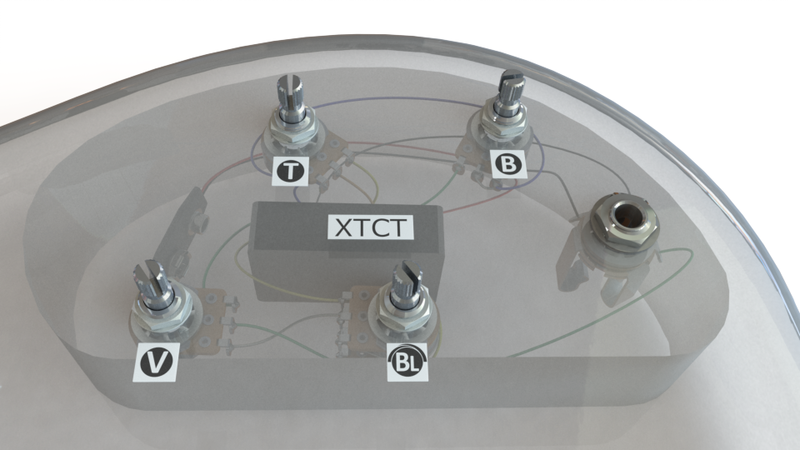 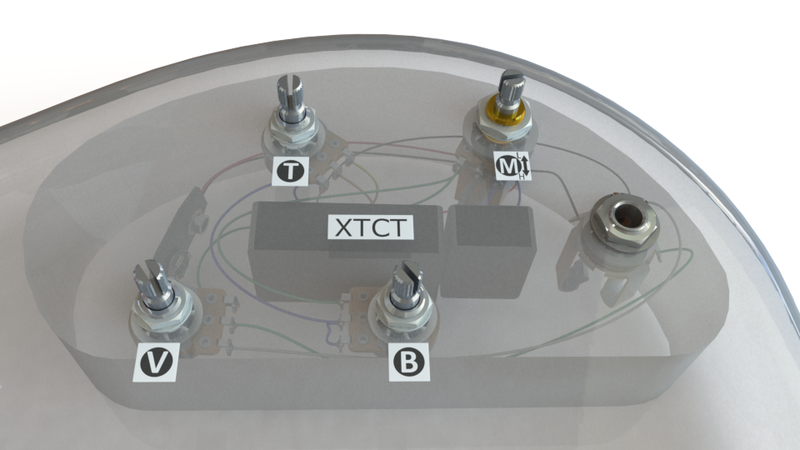 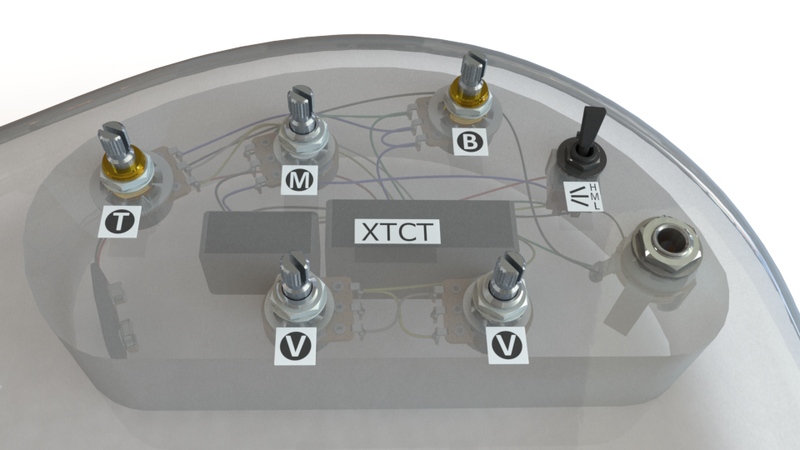 XTCT is a little tweak of the original TCT on-board pre-amp. 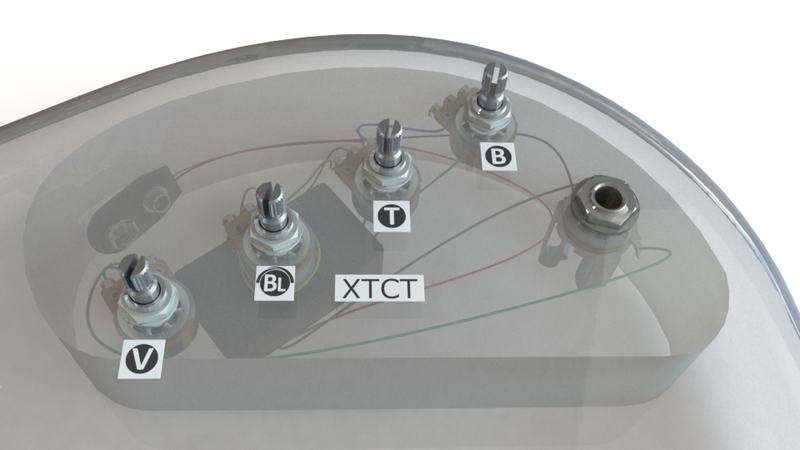 It has vintage FMV (Fender/Marshall/Vox) frequency controls so each band affects the others and if all bands are set to minimum, the output is muted. 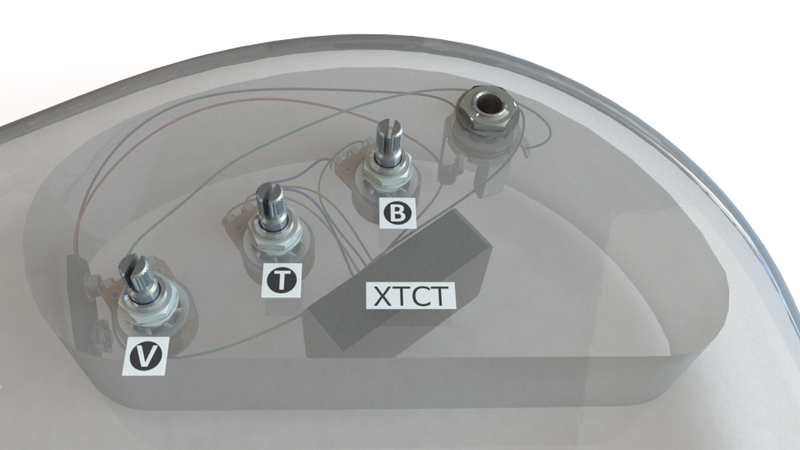 The TCT is a vintage, complex product for professional use only. Most of the layouts below are available in active-only or active/passive versions with a push-pull switch on the volume pot so you can quickly pull to bypass the preamp completely. Choose a layout for more details.